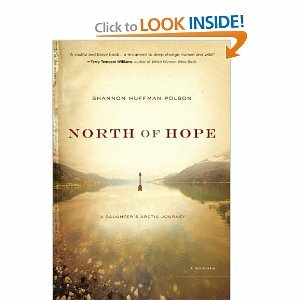 Shannon Polson, author of North of Hope, caught my eye after seeing Bookmagnet talking about North of Hope. Bookmagnet hosted a giveaway- and then through the power of social media- Shannon and I began chatting- and that is how you, my readers of Traveling With T, are getting to read all about Shannon! Shannon- the inspiration for North of Hope came from a terrible accident that happened to your family and the grief you felt afterward. For some, writing is a way to think and reflect. Was this how North of Hope was for you? In some ways yes, but I’d be quick to differentiate writing memoir from the therapeutic writing that journaling or letter writing provides. When I decided to write North of Hope, it was a concerted formal effort. I think when people consider writing as catharsis, they are referring more to journaling and letter writing, both of which I did and found really helpful. Writing North of Hope, though, was a completely different ball game. Remembering your family, going on the same trip your family went on before the accident- did anyone try to talk you out of doing this? Or did your loved ones understand why you had to do this? I think people have known for a long time I’m hard to talk out of anything! They did have concerns, and as a result we took a number of precautions that would likely be considered redundant to allay their concerns. North of Hope is a non-fiction/memoir book. Have you always wanted to write non-fiction/memoir books? Or was this particular story so compelling you felt you needed to write North of Hope? This was a story I felt I needed to write, that needed to be written. In one sense, I needed to make something beautiful out of tragic circumstances– to see if I could do it by shaping an honest narrative. I am constantly learning what it is that made writing North of Hope important to me. Recently I’ve reflected that memoir is a genre of connection, and that it’s important (for me) to find a way to tell a story of hope after tragedy because it’s something we all face one day in one form or another individually and collectively. Joan Didion said that “we tell stories in order to live,” and after these events in my life I’m more convinced than ever that we choose our own story given a set of circumstances. We don’t have a choice about living in a story, but we do have a choice about what that story will be. I’ve thought about whether I could have written the book as a novel, and that didn’t make sense this time around. The themes, though, of adventure, grief, loss, family, love, music, and faith are big ones in my life that are likely to recur no matter what genre I write in. Any idea as to what the next book will be about, Shannon? Will there be a next book? Absolutely! With two very small children right now, I’m likely to focus on shorter form for a little while. In the meantime, I’m working on a couple of ideas that will be ongoing until I figure out which will wrestle it’s way to the surface to complete first. One is straight nonfiction about a particularly fascinating moment in aviation history. Another is a novel. And a third might be some kind of a multi-genre consideration of my time in the military. 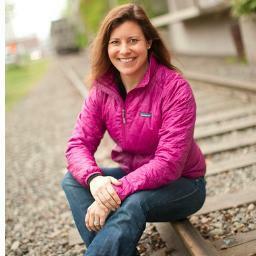 *Special thanks to Shannon Polson for agreeing to be interviewed! Shannon Polson, author of North of Hope, can be found on major social media sites- Facebook and Twitter. She also has a website. Check back on Friday to find out more about Shannon- authors she likes and books that are on her To Be Read List! Excellent interview, Tamara! So glad you two connected! Thanks, Jaime! And thank you for your role in our connecting!